Are you projecting to start a business? The possibility of making wrong choices for your firm is high, and over 60% of the start-up companies face similar challenges regularly. Most entrepreneurs make the mistakes because establishing an organisation can become intense, engaged, exciting, and sometimes overwhelming. Therefore, to succeed, here are some of the most common faults that will ruin your business, and you should strive to avoid them when initiating your company. Entrepreneurs spend variable time doing research, planning, looking for advice and business profiling, but the activities should not be the prime focus of the firm. Because it is easy for you to get lost in the quagmire of fostering the strategies and ambitions which almost unavoidably changes the moment realism comes along. 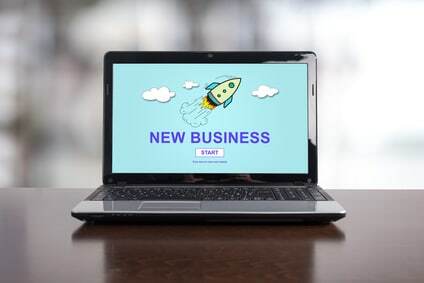 Naturally, the mistakes occur; for instance, when you push forward the launching date for your business for you feels anxious or not ready to commence the firm on the specified day. The firm may not do perfectly at first, but starting it will make your plans a reality rather than just a dream. Due to the pressures of having investors and bank loans to honour, you can become ambitious of pursuing profits unconsciously. Higher revenues are right for your organisation; however, when you emphasise more on earning high turnovers, you may find yourself compromising on your goals, consequently, diluting your products and the firm’s primary focus. Certainly, you should keep track of the financial statements; balance sheet and income accounts, but you should not let them be the determining factors of your firm’s activities. Moreover, you should make sure you have capital, to manage your inputs, as it gives you the buffer zone, and puts your primary objectives clear. In the start-up phase of a firm, the entrepreneurs are usually enthusiastic in pursuing business dreams, which is an essential requirement for a successful business. Nevertheless, investment emotions can blind you to reality, making it hard to formulate wise business decisions. For instance, the excitement can lead you to misunderstand the potency of a potential market and product desires. Detaching from your emotions will help you in realising the real objectives of the firm. Every start-up business should have a person in-charge of all the activities carried out in the enterprise. Therefore, as an entrepreneur, you should blur the lines, between you and your investor, on who the manager is. For instance, the investor may be aware of what the proceeding entails, but it does not mean that you should not check it out before irrationally following his or her leads. Unquestionably, you are the leader, and you should do your responsibilities without your juniors overlooking at you. Also, In the start-up phase, several challenges may occur, such as lack of enough capital or stiff competition in the market. Thus, it is good you are ready for any uncertainties that might face your business, and you should come up with ways of elevating and maintaining perfectionism. When starting a business, it is important you select a controller carefully because he or she is a business partner, you can depend on for financial advice and guidance. Some of the issues you need to consider when choosing a certified public accountant include; his or her location, the accounting software and the division of workload. Moreover, it is your firm’s interests to hire a person with relevant expertise, and capable of handling financial activities independently. Besides, since you are a young company, you should hire employees who understand your rate of innovation and growth, which sometimes may call for work commitments that may surpass job descriptions. Gathering feedbacks from customers, through interviews, is another essential for a succeeding business, and most entrepreneurs tend to ignore this fundamental quality. Learning about your consumers will assist you in predicting and delivering as to their expectations. Also, you should strive to maintain healthy relationships with your clients by being consistent in your outreach with advisers and other key connectors in your firm. This entry was posted in Latest News on 29th August 2017 by pinnacleadmin. This entry was posted in Latest News on 10th May 2017 by pinnacleadmin. This entry was posted in Latest News on 18th August 2015 by pinnacleadmin.